Shell scheme booth graphics. 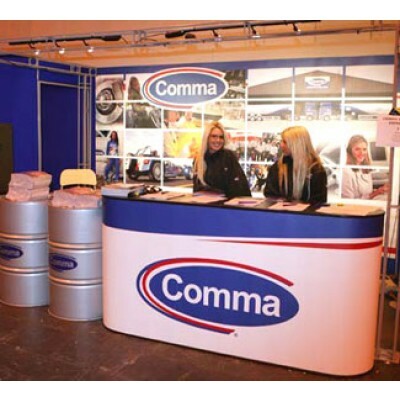 Looking for new graphics for your shell scheme booth or just want extra options at a trade show or exhibition? Our in-house studio can design and print custom shell scheme booth graphics with fast turnaround and high quality end result. Our shell scheme graphics are high quality digital large format prints, turning a simple shell scheme into a show stopper at a low cost. You don't need to spend a fortune to attract visitors to your exhibition stand, well designed, high quality graphics can transform a basic shell scheme or trade show booth into a display that will attract passers by. Unlike other print suppliers all our printing takes place in house so you can be sure of top quality and fast delivery. You can either supply your shell scheme artwork ready to print or we can take your ideas and create a stunning custom design for you.